Thermo Scientific Sterilin quality-assured containers are aseptically manufactured under controlled, automated cleanroom conditions. The containers are designed for the safe handling of valuable or potentially hazardous samples, reducing the potential for contamination that could adversely affect analytical results. The new clear containers are manufactured with robust polypropylene and are compliant with 95kPa pressure requirements at ambient temperatures specified for the transport of diagnostic specimens. In addition, the containers are designed for excellent leak-free performance in accordance with BS EN 14254 Annexe D leakage test requirements, potentially minimizing sample loss and the associated costs. 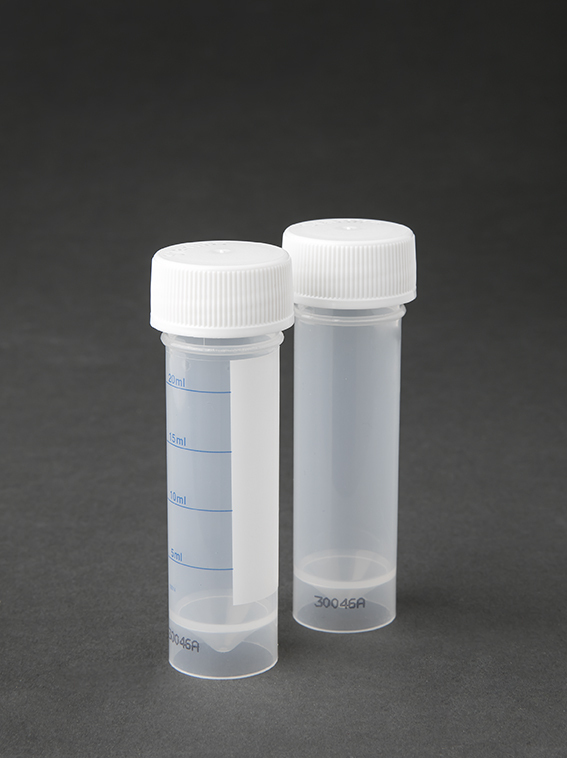 The Sterilin containers can accommodate a convenient working sample volume of up to 25 mL, ideal for a broad range of general laboratory applications, from sample handling to centrifugation. They are suitable for use in general purpose and small bench centrifuges and can be centrifuged to a maximum relative centrifugal force of 9,500 x g, depending on the specific rotor type, temperature or reagents. The new containers are also ergonomically designed, featuring a convenient self-standing conical base and a practical half-turn Quickstart cap for easier handling. Each container has a unique lot number for traceability.